At the begining of 2018 I talked about our plans to develop partnerships, enhance employability of students and grow our reach. Well, 2018 has delivered! It was a good year for Gradsouthwest, starting with the new website in January and culminating in a £0.5m bid to OfS for internships in December. The first brought you, our recruiters, a better, more user friendly service, with enhanced reach. The last, the potential for us to help you recruit and retain creative talent in the region through our employability work and internships. - the launch of Google for Jobs - which resulted in you getting even more reach as Gradsouthwest places high in it's rankings. - a record number of student registrations at the autumn careers fairs - bringing you even more candidates. developing a new link with new Hartpury University. All of which adds up to us delivering more high quality candidates that want to work in south west England. Sometimes when you are doing good things we believe it is OK to say "more of the same" - we want to continue to develop our partnerships, enhance employability of students and grow our reach further. 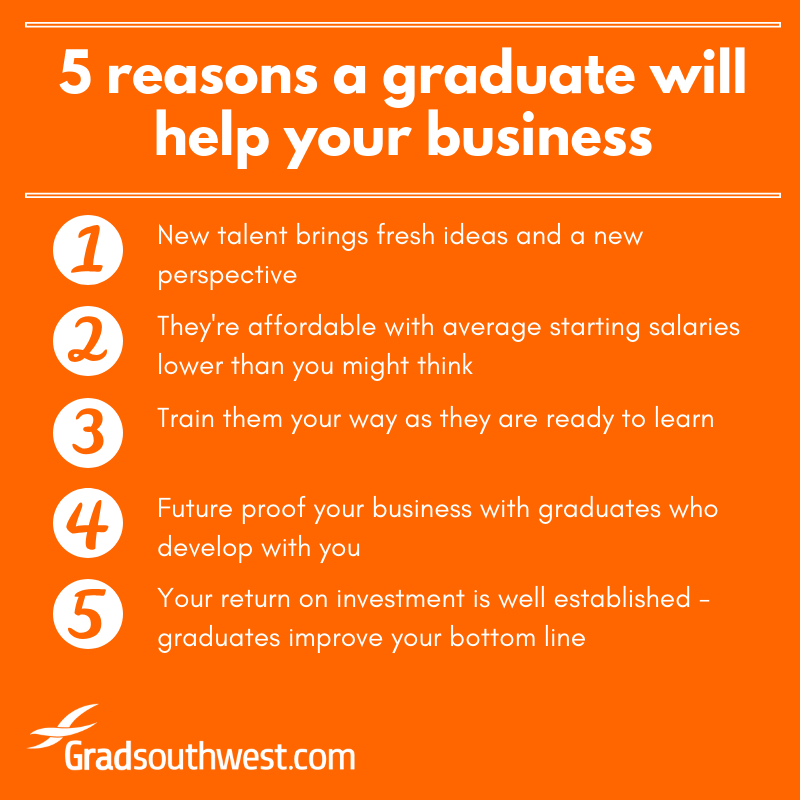 All three things are good for you, our recruiters, and for students, graduates and the south west of England. Are you a Devon SME looking to employ a science, technology, engineering or maths (STEM) graduate intern? If so, the STEM Graduates into Business project could help you with recruitment and employment costs. This brand new project is just launching and is looking for employers needing STEM skills. This project is supported by the European Regional Development Fund. As one stream of funding under the European Structural and Investment Funds (ESIF) Growth Programme 2014–2020, the ERDF focuses on smart, sustainable and inclusive growth. The main priorities involve contributions to research and innovation, supporting and promoting small and medium-sized enterprises (SMEs), and the creation of a low carbon economy. The Skills Summit, held at the Engine Shed, Bristol 10-12.30pm, on Wednesday 23 January, is a chance to connect with people and organisations interested and involved in ‘tech talent’ and to have your say in developing a 'Tech Skills Manifesto’. We will be asking businesses what specific tech skills they need in their organisation to realise their growth potential. Knowledge Transfer Partnerships (KTPs) can make a business more competitive by uniting them with a university or research organisation and a qualified graduate. The team offers a free and impartial comprehensive skills service to employers in Swindon and Wiltshire, whether you are looking to develop your management team or recruit your first apprentice their advisers are there to help. A major new report on the graduate job market, published on the 21st January 2019, shows that the UK’s top employers are increasing their graduate vacancies by 9.1% in 2019, the biggest annual rise in graduate recruitment for nine years. It means the recruitment marketplace for graduates is getting tougher again this year with the big recruiters turning up the numbers, making the pool for everyone else shrink. Don't forget, to you make yourself stand out to compete. Not sure if you should recruit a graduate? Did you recruit a graduate through us? Why not recommend us on Facebook? It'll only take a couple of minutes and you'll be boosting your company profile with thousands of student and graduate followers. Thank you! No comments on "Gradsouthwest Recruiter Update January 2019"